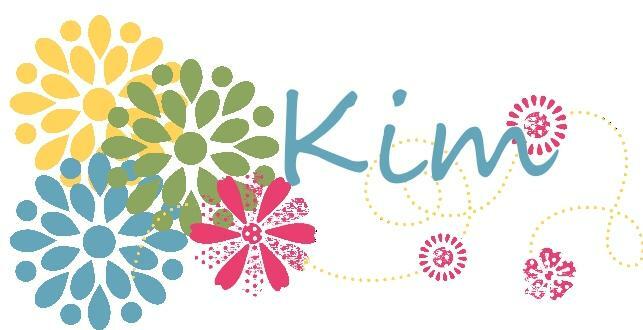 In the midst of playing with all of Stampin’ Up!s retiring stuff one last time, it’s easy to forget that many things in the Spring Catalog will be leaving us on May 31! 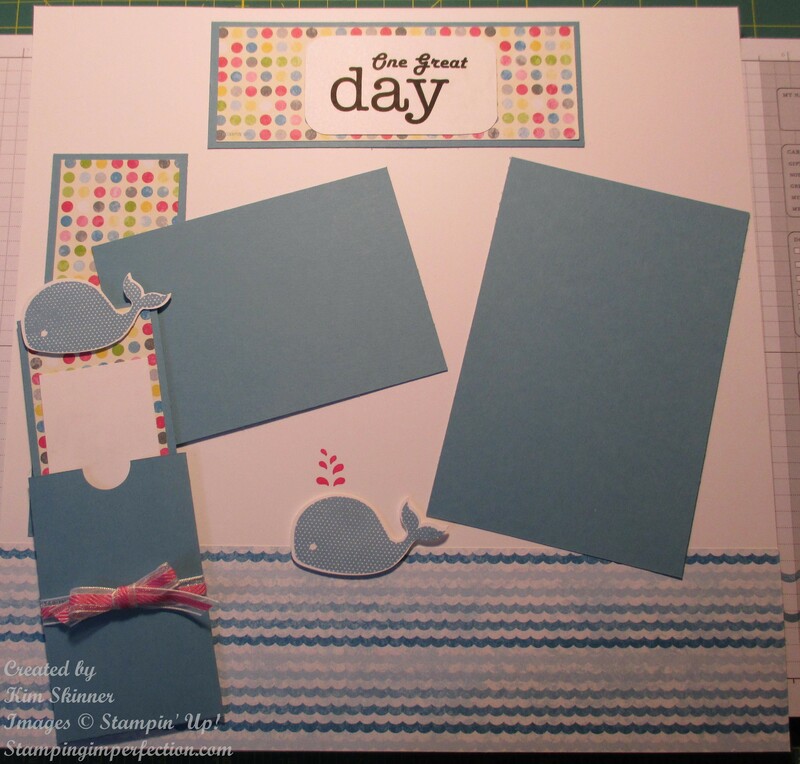 One of the stamp sets that is not returning is the Oh, Whale stamp set. 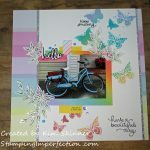 The Sunshine and Sprinkles Designer Series Paper and the Sizzix Clearlits Happy Whale are not staying either! 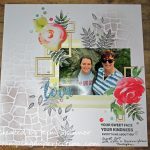 These items make beautiful scrapbook pages for beach themes, family summer fun day themes and kid themes. 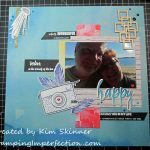 These page are created using 12 x 12″ Whisper White card stock, Marina Mist card stock and the Sunshine and Sprinkles Designer Series Paper. 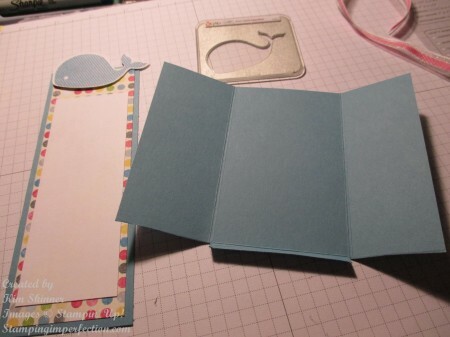 The Oh, Whale stamp set coordinates with this paper as does the Sizzix Clearlits Happy Whale to used with the Big Shot. 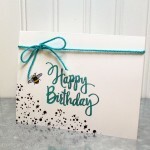 Marina Mist and Melon Mambo inks and ribbon were used here as well. On this page, I created a journaling box that slides into a simple pocket. The pocket was easy to create with my Simply Scored Scoring tool. Notice that I notched it with a 3/4″ circle punch. I left that detail out of the video and I do love the notch in an envelope! 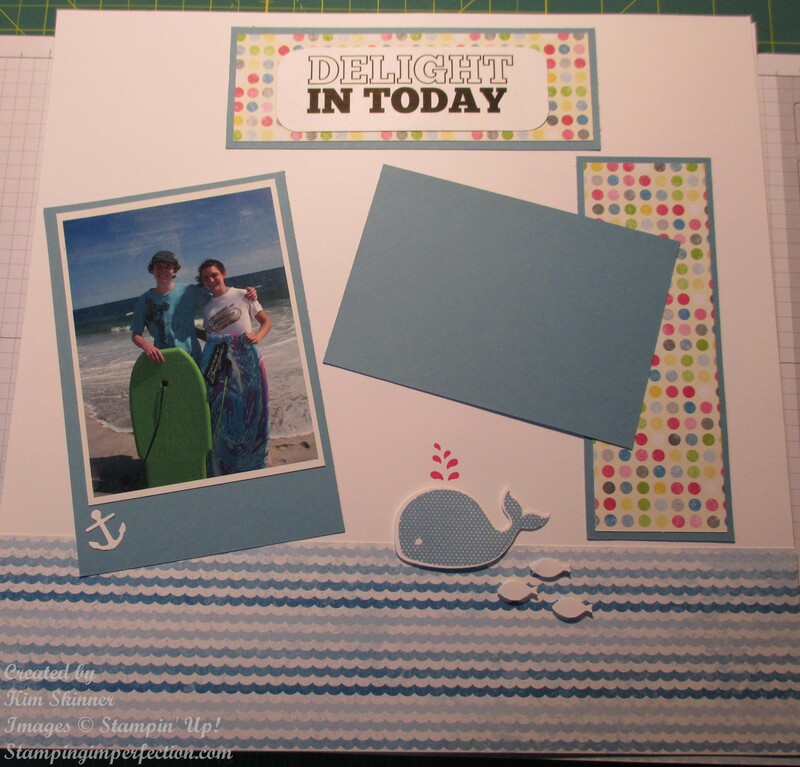 The journaling box was created with a layer of marina mist, dsp and whisper white. The stamped and die cut whale was added to the top with dimensionals! How cute is that?! The pocket is just created from a piece of marina mist cut at 4-1/4 x 5-3/4″, scored at 1-1/2 and 4″ on the longer side and 1/4″ on one shorter side. You can see in this picture that I cut off the bottom corners. I folded it and sealed it shut with Tombow glue. Melon Mambo ribbon was wrapped around it and tied into a bow to finish it off! Here is the video with the complete instructions! 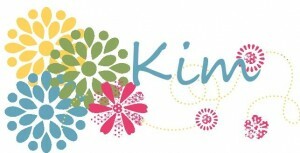 Get the supplies you need to create this page before the Spring Catalog expires on May 31!!! 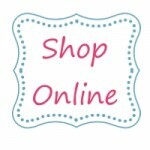 Shop in my online store 24/7 to get the supplies you need to create great scrapbook pages!